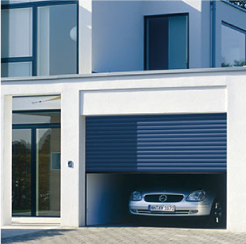 A roller garage door provides plenty of space in front of the garage allowing you to park right up to the door if space is tight. 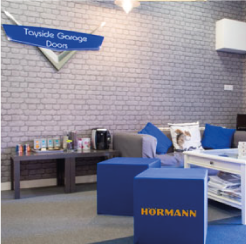 It also has the added bonus of utilising the space in your garage as the door hardly takes up any room in the ceiling area. 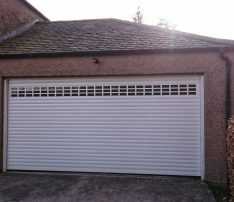 Standard Insulated Roller – Needs 300mm head room. 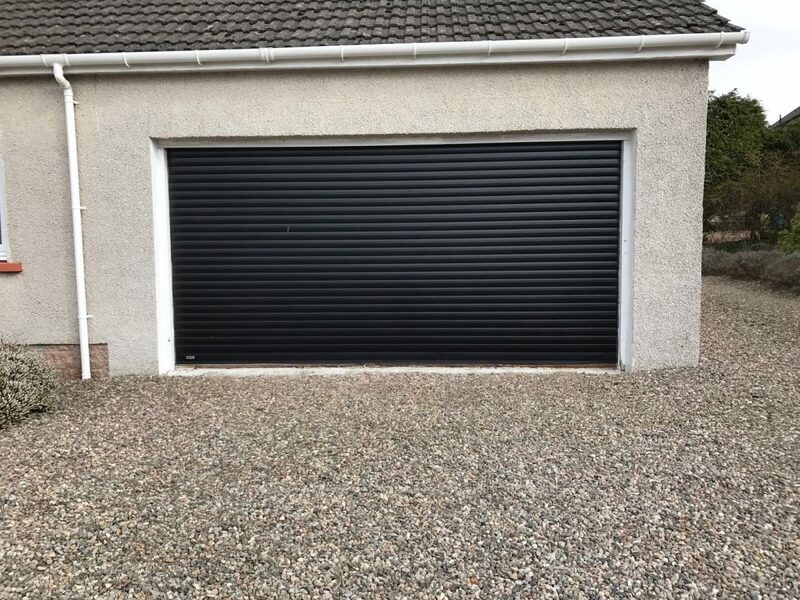 The insulated roller garage door is manufactured from aluminium foam filled sections (laths) to provide thermal and acoustic insulation and security. 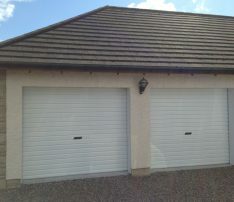 Insulated roller garage doors are supplied with automatic opening as standard. 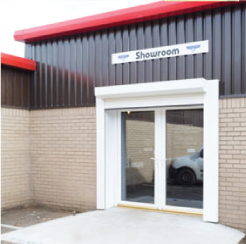 Our main supplier for this type of door is SWS UK and they offer many paint finishes because they actually own a paint factory! 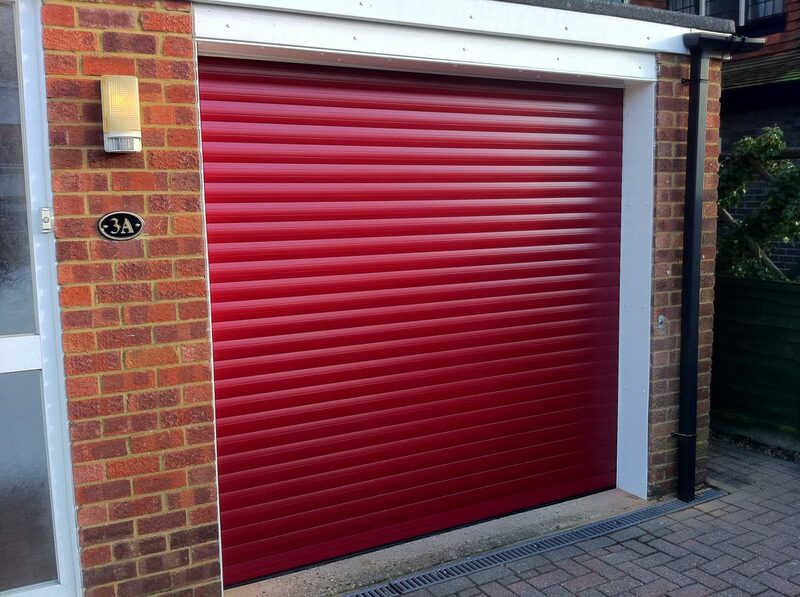 They also do a police-approved roller door should you require our most secure option. 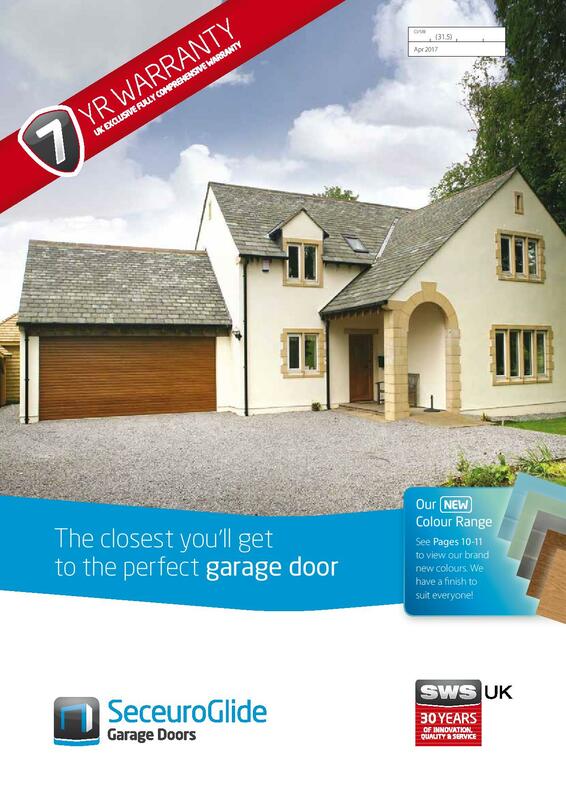 SWS UK are also able to offer you the ability to open the garage door using your smartphone! This is a very clever function; you can use this by utilising your home wi-fi router (Securoglide connect) or by making a call or text (Securoglide connect plus) from any telephone. Its very usefull if you are on holiday and don’t know if your door has been left open; just make a call or text to check. Check out the SWS UK brochure for more information on these two products. Compact Insulated Roller – Needs 230mm head room. 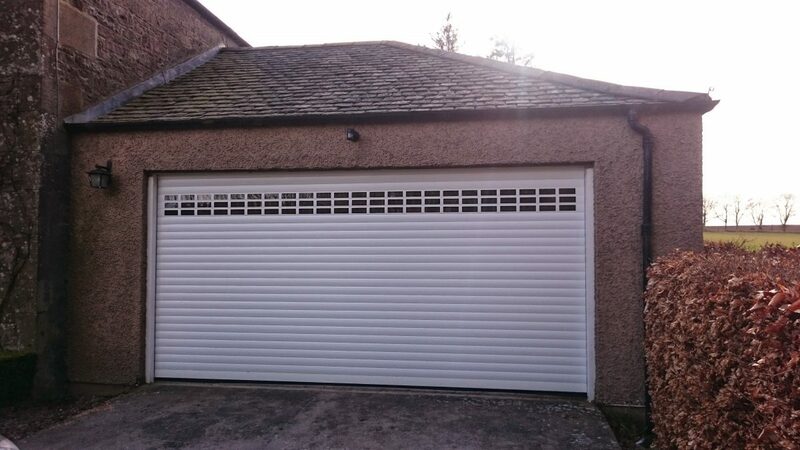 The compact roller garage door is an insulated door that can roll up into a small space (the lathes are not as wide as the normal insulated roller) and is ideal for concrete-built or low-ceiling garages. This is only available in electric and again our supplier is SWS UK for this product. Single Skinned Roller – Needs 430mm head room. 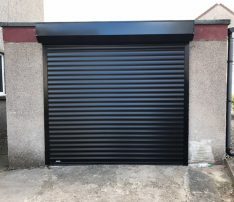 The non-insulated roller garage door, is a continuous sheet that has been bent into shape, it roll up into itself and needs a fair bit of head room because of this. There is a compacted option too. 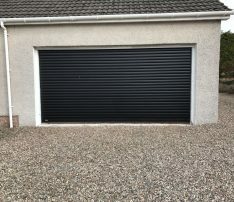 This is available as a manual or automatic garage door option, and is our cost effective solution if you are on a budget. 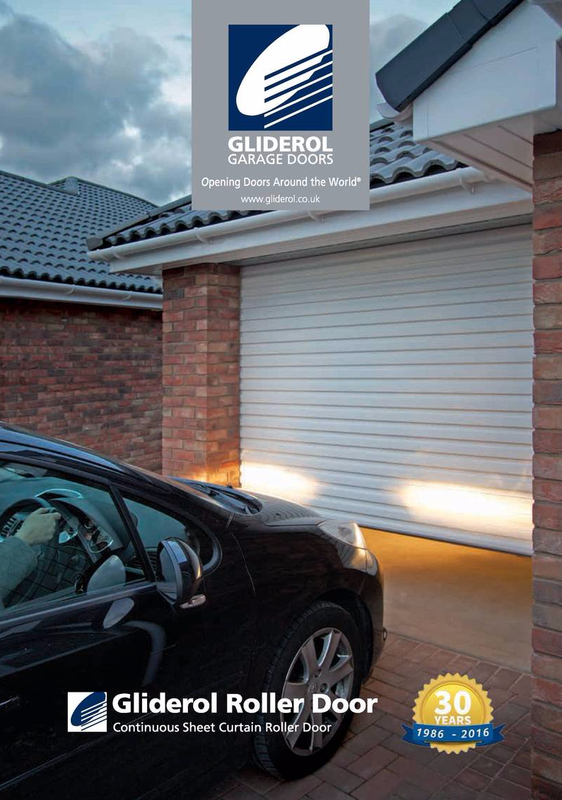 We use Gliderol as our main supplier for this style of door and Liftmaster for electric operation. 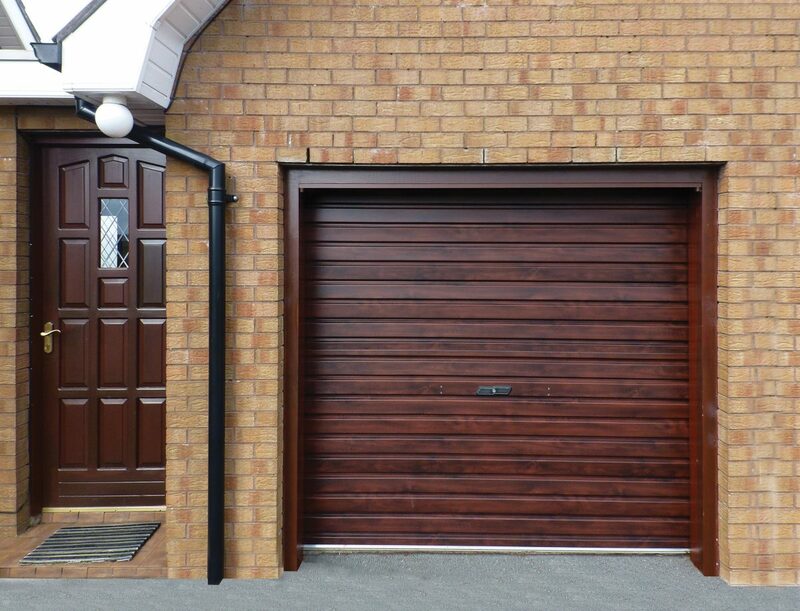 These Roller doors are available in many colours please refer to the specific brochure for your selection. 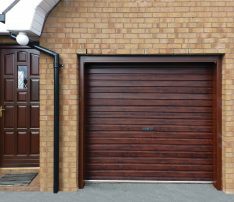 Most roller garage doors require hardly any maintenance, just the occasional clean of the guides with white spirit and of course keeping your lovely new door clean using warm soapy water! Recommended to be serviced every year. 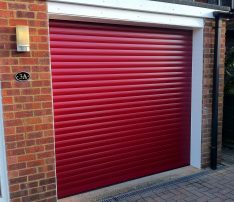 SWS Roller Doors have a battery powered safety edge, these batteries will need to be changed on average every 14 months to 2 years. 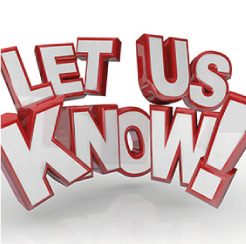 Depending on the age of the door you will either have 3.6v lithium batteries or AA batteries. There is a black battery pack on the last slat of the door and the batteries are in there. If you hear 4-5 beeps then these need changed as soon as possible. We sell these batteries here or these can be bought online. 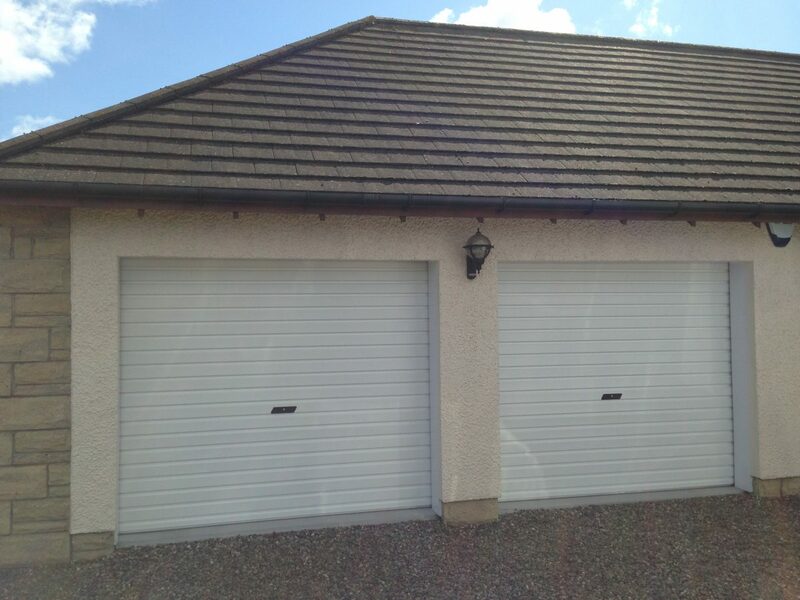 At Tayside Garage Doors we can install and supply your roller garage door in Dundee, some parts of Fife and Perth. 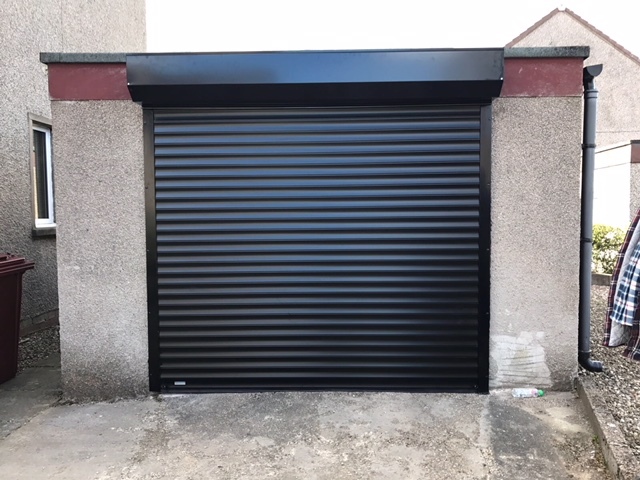 If you’re a little further out, we might be able to get your new roller door to you too – just get in touch and we’ll try to help.